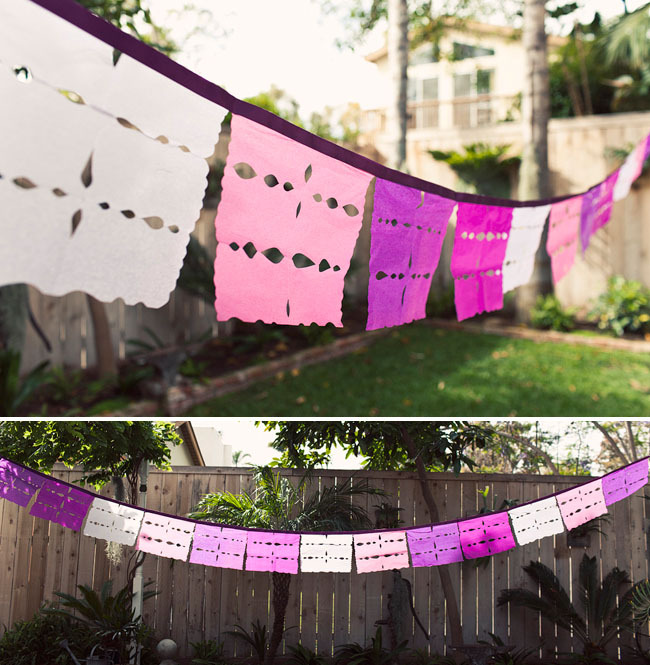 Lovelies today’s post has more paper goodness for Cinco de Mayo then you can imagine. 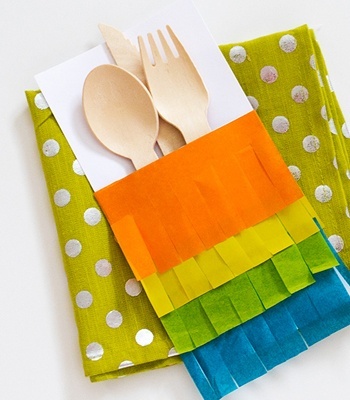 These lovely, colorful, creative ideas are mostly inspired by pinatas, a must have when it comes to fiestas but Papel picados (paper crafts in Spanish, otherwise known as tissue paper Mexican flags, I know who knew?) make their way in there too! Even better news? Most of these are DIY and REALLY inexpensive and easy to make for this weekends festivities yet are so adorable and lovely! 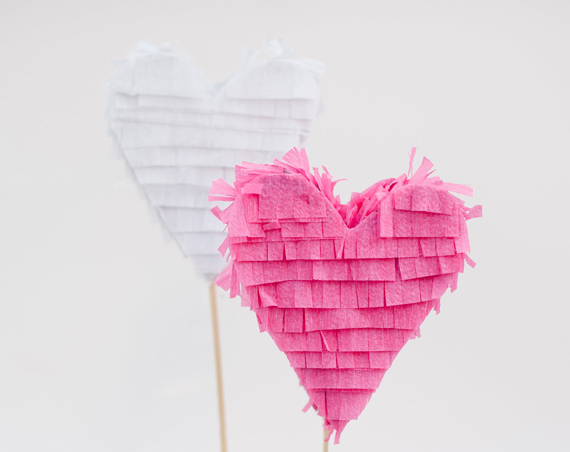 First of all these heart pinata cake toppers by A Subtle Revelry are irresistibly good! 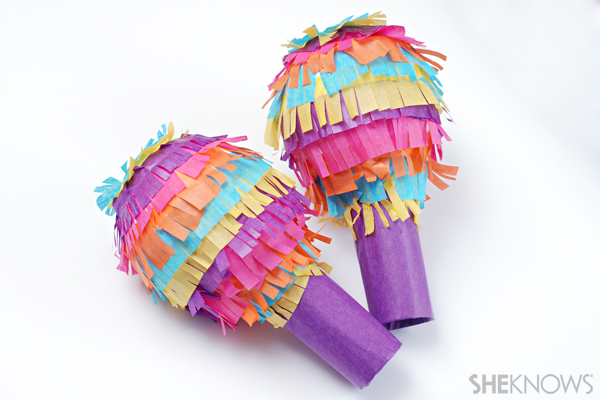 I am head over heels for these fringed pinata inspired utensil holders on Confetti Pop! 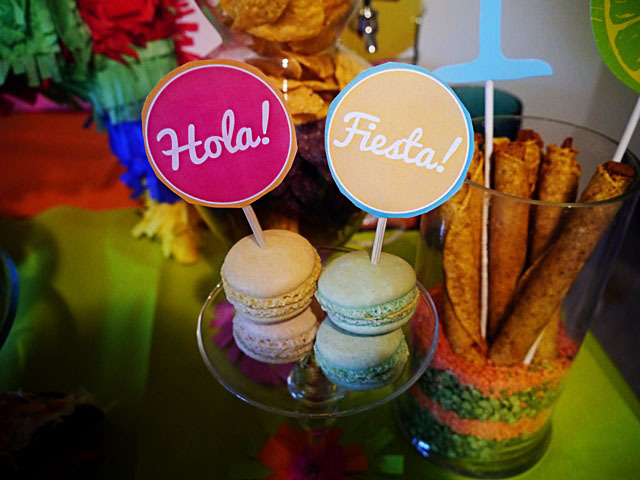 How cute is this Cinco De Mayo Cupcake Garland by One Charming Party?! 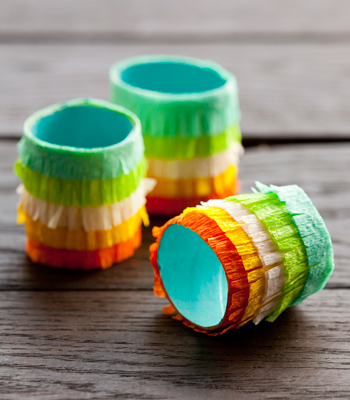 Oh these DIY fiesta fringe napkins rings are a must make on Confetti Pop. 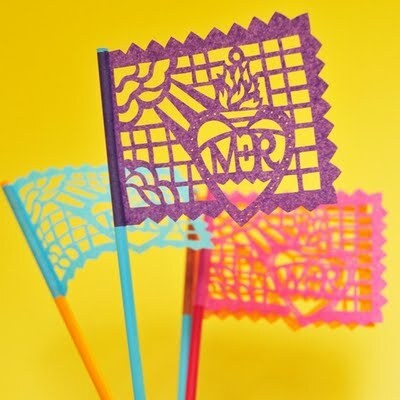 Loving these papel picado tissue paper banners as straw stirrers on Oh Gracie Pie. 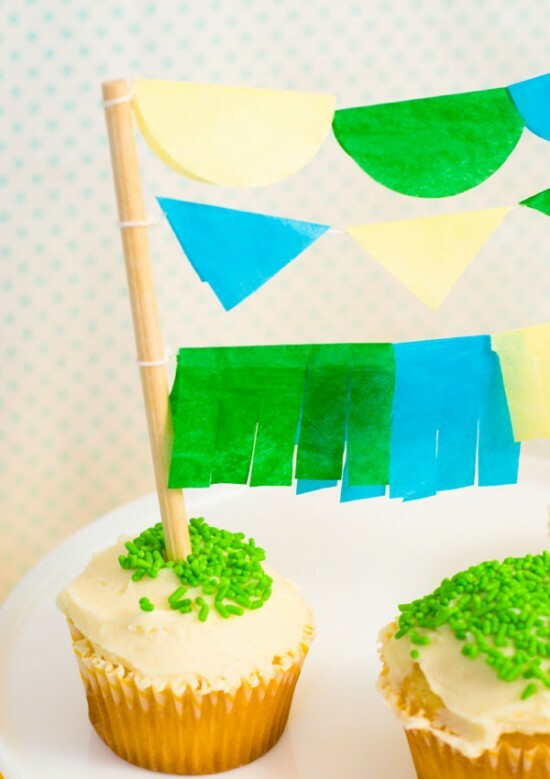 A great idea to jumbo size the flags and use them as a photo backdrop from Camille Style. Or make your own from this DIY on Green Wedding Shoes and hang them everywhere! 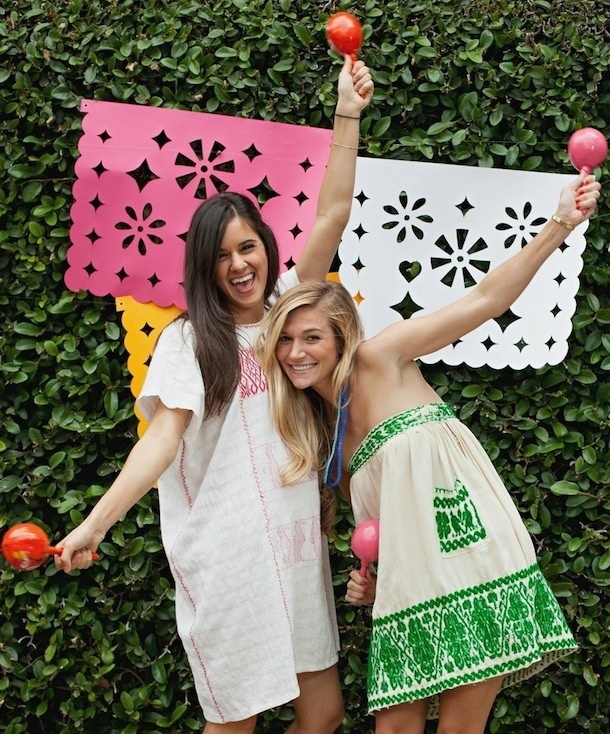 How cute would these DIY maracas by She Knows be as an decor piece on a dessert bar?? 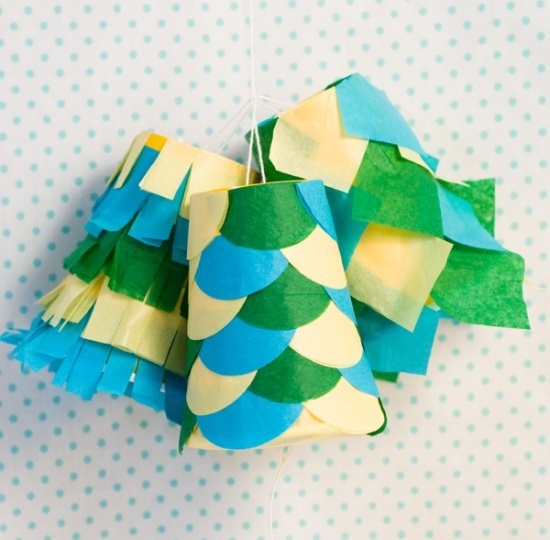 Fabulous DIY Pinata inspired garland from One Charming Party. I know right? I was shocked at how many lovely ideas there were!